The latest chicken(s) in the collection! I got this from Mathboy for our anniversary this past weekend. If you squeeze the front of the truck, it makes an engine sound and if you squeeze the back, it chirps! 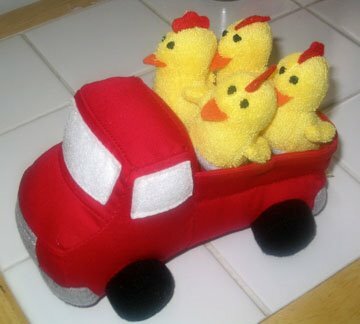 The chicks are removable and stuck on by velcro. I love it!